One of the purposes of Making A Mark is to celebrate the achievements of others. Every Sunday I do this with my weekly post, 'who's made a mark this week?'. At the end of each year the Making A Mark Awards are in effect the annual version of that post. This year I again opened the nominations for the awards up to regular art bloggers. I'm pleased to see that a number that I had in mind for prizes have been nominated along with a number of other art bloggers who are new to me. There were a few problems which I'll reflect on in a post in the New Year. Only the artwork of the year is open to voting. All other awards are decided by me. Your nominations have influenced by judgement either in term of confirming my initial view or by changing it! 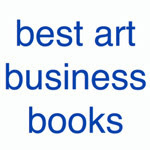 See Vote for the best artwork on an art blog in 2010 - you have until 6.00am GMT on 30th December to vote if you haven't done so to date. Remember it's only one vote per category per person/IP and this is NOT a popularity content. There should be no canvassing outside your blog for votes! To repeat what I said last year - there are, as you know, no absolutes when making judgements. It's only one person's opinion and if I really can't decide which person to give it to I usually opt for a joint award! The reasons for nominations can be read in earlier nomination posts (see end for links) and I've quoted a few of these in this post. This page on my website also references every award, everybody who has been nominated, all the nomination posts and all past winners. Adebanji Alade (Adebanji Alade, South London) nominated by Sheona Hamilton Grant. I would like to recommend Adebanji Alade for the Painting Plein Air Plus Award. His talent, enthusiasm and sustained sharing are brilliant. For these reasons, I really do believe he merits winning this award with flying colours. Rene Plein Air (Rene Plein Air, Netherlands) nominated by Sarah Wimperis I want to nominate Rene Plein Air for getting out of the studio and doing it, rain or shine, sleet of snow he is out there painting away. I can echo Sarah's perspective on Rene - his commitment to plein air painting almost every day is hugely impressive. He's out and about in all weathers. Loriann Signori in Maryland who won last year. 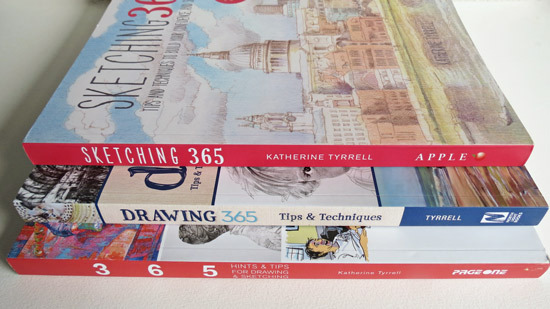 Yet again she has produced c.30 blog posts EACH month in 2010 - and we all know how Loriann loves getting out and about with her kit! What I've noticed much more this year is the ways she also shares lots of tips and bits of information in nice small dogestible chunks. That's very much in the spirit of this prize. 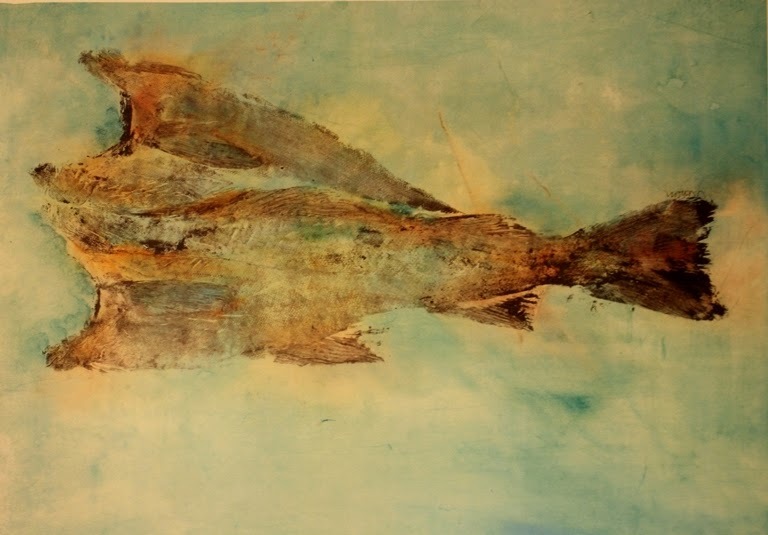 Rob Ijbema, Painting Wales Diary is also one who paints plein air whatever the weather. However, my choice this year is informed by the way in which Adebanji Alade shared on his blog the whole experience of creating over 200 paintings of Bath in just 8 weeks. 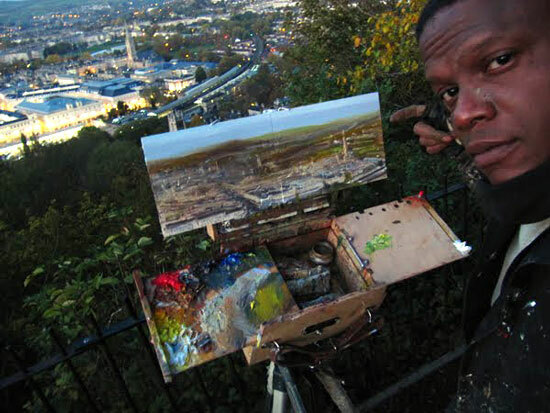 Adebanji has demonstrated that his work is also about sharing and helping others to get involved in plein air painting. He also managed to generate a major exhibition of his work as a result of his Bath Challenge and that's no mean feat. The Painting Plein Air Plus Award this year goes to Adebanji Alade. 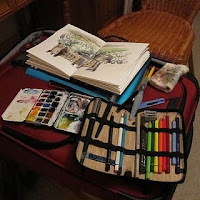 This award goes to the most intrepid and/or industrious artist travelling with a sketchbook! As I indicated last year, the key words to keep in mind in choosing the recipient of this award are 'intrepid' and 'industrious'. This is what has characterised the past award winners of this trophy from those of us who also carry a sketchbook from time to time! I received one nomination for this trophy from Robyn Sinclair (Have Dogs, Will Travel) and I'm absolutely sure that the connection is not just that Robyn and her nominee are both fellow Australians! There is something about meeting up with a fellow blogger which helps to put what you see onscreen into a whole new perspective. Luckily both Robyn and I were fortunate enough to meet up with Liz this year. (see Liz Steel and Borromini at Kew Palace on my sketchbook blog) although Robyn got to see rather more of her than I did when Liz visited Tuscany. Liz Steel (Liz + Borromini, Sydney Australia) Nominated by Robyn Sinclair I've had the privilege of following Liz's extraordinary travel sketchbooks since she began blogging but her achievement of sketching her way around the world for three months this year has been exceptional. It culminated in my getting to sketch with Liz here in Italy and that was inspiring. Frankly I never really expected there to be any serious competition for this award this year. I knew prtty much who I wanted to give it to just on the basis of last year's efforts. 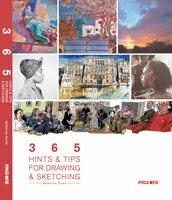 Then just in case I had any doubts, Liz took herself off on a 12 week extended vacation to sketch her way round the USA, UK and Europe! 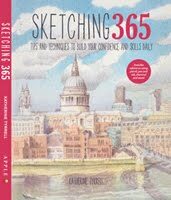 To top it off, she also sketches the most amazing complicated buildings in double quick time as well as sketching while eating and drinking tea. 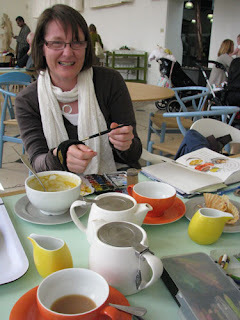 Liz sketches lunch - note the neat brush wiper! 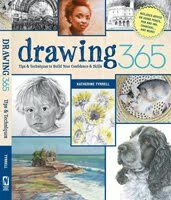 her sketchbook 5 covering England and Wales - in which the trip to Kew is included. Admire also the maps which navigate via tea houses and places to stay and her comprehensive sketching of Blenheim Palace which is not the smallest of buildings! the final sketchbook 8 which involved the visit to Rome and Tuscany. all her "big Trip 2010" travel sketchbooks available on Issuu. So inevitably the The Travels with a Sketchbook Trophy for 2010 goes to Liz Steel (Liz + Borromini) - but not forgetting Borromini! This award is for the art blog which I've found most stimulating in relation to getting us in touch with nature and the environment. 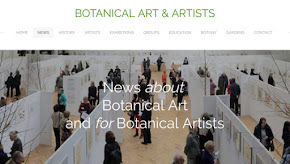 This post really relates to the Botanical Art, Natural History & Wildlife section of my blogroll. If your blog is compatible with the ones you can see in there then the chances are that you might be eligible for this award. Its counterpart is the new award for Best Picture of the Year (Natural World) which people are voting on right now. I received one nomination by Robyn Sinclair and I had already identified one possible blogger for this award. Others hovering in the wings are Gayle Mason (Fur in the Paint) who has also been showing this year how easy it is to start paying attention to the birds in our garden and nearby reserves and rural areas. I also like the work on Martin Aveling's blog Aveling Artwork but would just like to see a bit more of it. Debbie Drechsler (Just Around the Corner) nominated by Robyn I have been turned on to nature in all her wonderful and too often overlooked detail by Just Around the Corner by Debbie Drechsler. 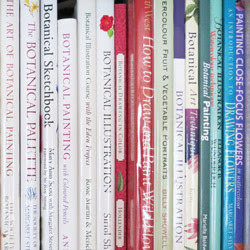 Debbie's nature drawings are lively, beautiful and studious yet, at the same time, she is a great storyteller. For me, Debbie achieves a very nice balance between her obvious interest in the wildlife and botany and getting her observations down in a variety of media. Tim Wootton (Tim Wootton Wildlife Art) does the most delightful drawings of birds from life which I absolutely love. The only problem is that there are too few blog posts but the ones that do exist are outstanding. I found this one very difficult to call as I could make a good case for all three. At the end of the day I've focused on the sustainability issues associated with going greener. 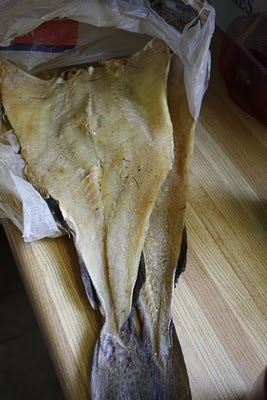 the quality of her comment on the sustainability issues relating to the local fishing industry and the changes within her local environment in the seas around and about Newfoundland. 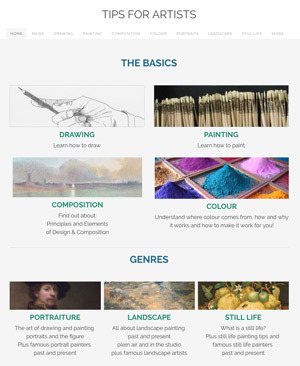 Categories art, art blogs, making a mark, Making A Mark Awards, nature drawing, painting, plein air, sketch, sketchbook, sketching, travels with a sketchbook, who's made a mark this year? Congratulations to Adebanji and Liz for such well deserved awards. Their work is outstanding as is that of all those nominated. Thanks so much for the Going Greener Gong award Katherine. I feel strongly about the fishery, the oceans and the impact they have on the land and culture. As I work through my gyotaku project, it becomes more valuable to me and I feel as if I'm recording a little piece of history for the future. Thanks so much for the AWARD! I feel so honoured to receive it! I enjoy and respect the consistent quality of your blog and to get an AWARD here is just so thrilling! When I'm outdoors something else comes into my being-it's almost like having sweet dream but it's REAL! A very convincing choice for the awards! not easy to beat rene! 19th December 2011: Who's made a mark this week? 12th December 2010 - Who's made a mark this week? 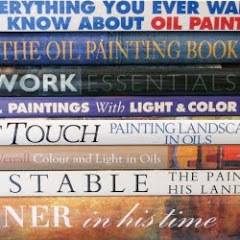 Why be an art blogger? 5th December 2010: Who's made a mark this week?